Comic book movie releases make up one of the most popular genres at the box office, and the trend doesn’t look to slow down any time soon. The major Hollywood studios have over 20 major comic book movie releases planned between now and 2022. That includes films in development and already scheduled for release. Simply put, there’s never been a better time to be a comics fan who likes seeing their favorite heroes on the big screen. The box office figures don’t lie. Superhero movies tend to destroy at the box office, proving there is a massive market for these types of stories. Superhero fans are craving for all the superhero content they can consume. They love the stories and as a larger audience is introduced to these classic characters, they’ll want more and more material on them. That’s why it makes sense for comic book shops to ride this wave of interest in the superhero genre to sell more comics. Let’s take a look at some upcoming 2019 superhero movie titles as well as ways your comic book shop can take advantage of this ever-growing trend. Make sure you have plenty of the titles surrounding heroes premiering that particular weekend. For example, be prepared for the release of Spider-Man: Far From Home’s July release with plenty of Spider-Man titles. This is especially important when you come across new releases based on lesser known or niche characters. If the New Mutants adaptation turns into a sleeper hit, many casual fans may try to get more background information on a set of characters they’ve been exposed to for the first time. This is where you can really take advantage of your position as a comic book expert. Carry titles that are lesser known to the general public about characters whose films are appearing in theaters to take advantage of the superhero’s newfound prominence. Look for some essential New Mutants titles to carry – while these characters are related to the X-Men, they’re not as widely known. Get ready for the debut of Carol Danvers in theaters with some classic Captain Marvel titles. Or look towards the DC superhero formerly known as Captain Marvel and try to stay ahead of the curve by carrying Shazam titles that would be perfect for theaters. Tap into the buzz surrounding the gritty Joker reboot set for this October to promote The Killing Joke, considered by many to be the best origin story for the Joker. Talk to some of your local cinemas on opening weekend. See if you can set up shop in the lobby, giving away free comics with information about your store. You can offer theatergoers deals and discounts with the purchase of a movie ticket. Or you can set up a raffle to give away a prized comic focusing on one of the superheroes featured in that weekend’s big movie. Use the thrill of opening weekend to ride the wave of comic book fan excitement. Big studio movie releases put a ton of marketing money and resources behind these superheroes on the big screen. Tap into that to give fans of the genre more opportunities to read about their favorites. You’ll increase your business and give the audience opportunities to spend even more time with the characters they love in a format they may not be familiar with. It’s a win-win for everyone! 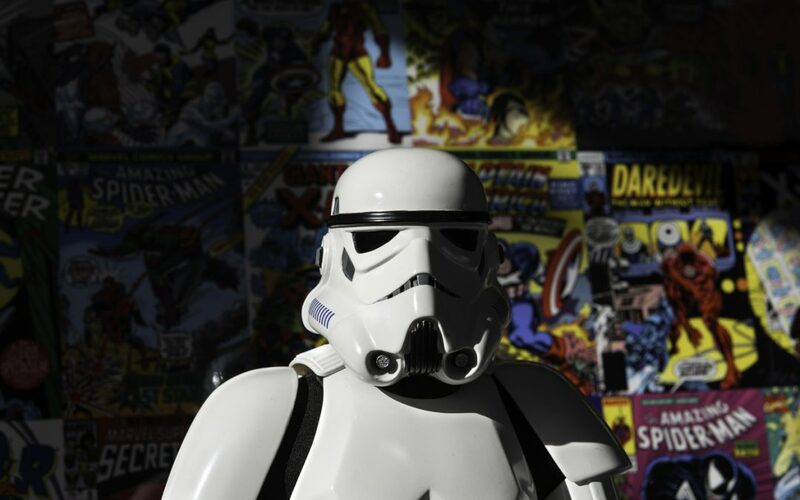 Need help managing your comic book subscription services? Manage Comics can help! We can grow your business by helping with an email marketing strategy to make it easier for your customers to buy the comics they love. 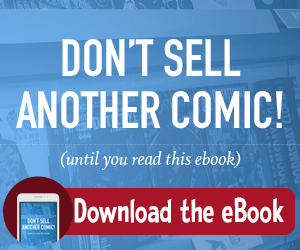 For more information, download our Manage Comics Guide Book today!